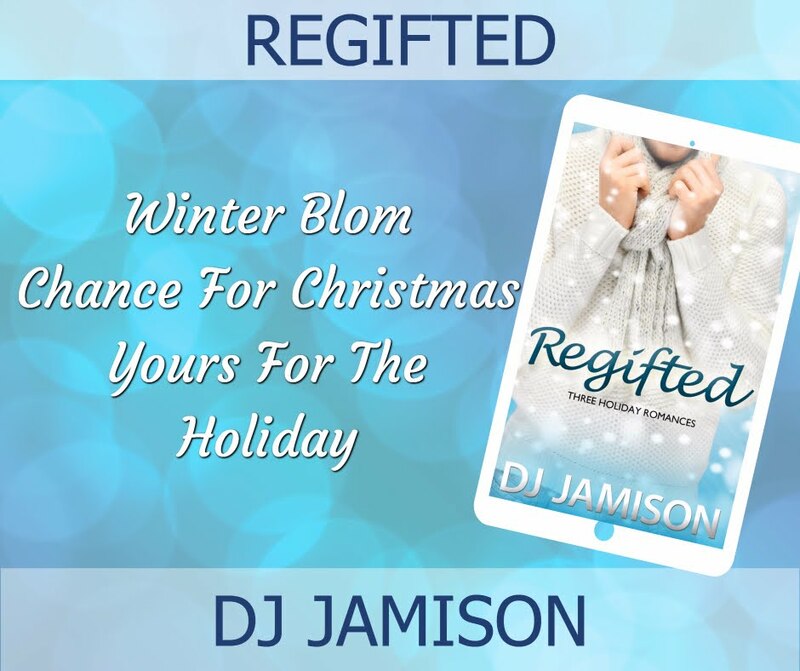 This box set includes three previously published holiday romances by DJ Jamison: Winter Blom, Chance for Christmas, and Yours For The Holiday. Winter Blom: Lane Cross works construction to pay the bills, and makes metal art to … also pay the bills. As a single dad, the enjoyment of his art has taken a backseat to making ends meet. And his love life has taken a back seat to caring for his son, especially when Zach, age 6, sabotages every babysitting attempt Lane makes. Then Lane meets news intern Andy Blom. The man’s Swedish name meaning bloom is perfect for him: Andy is refreshingly sweet and vibrant. But when Lane moves too fast, will he scare away the surprisingly innocent young man – or will Andy’s journalistic ethics end them before they ever begin? Chance for Christmas: Chance Rasmussen returns to Ashe, Kansas, eight years after his high school crush humiliated him with a sext that went viral. He’s low on holiday spirit with his personal ghost of Christmas past haunting him, but when his BFF asks him to attend a party as her fake date, he reluctantly agrees. The last person he expects to see there is Joe Stewart, the compassionate prosecutor he hero-worshipped during the lowest point of his life. The spark of attraction is still there, but Chance isn’t planning to stay in Ashe past the holidays and the specter of his past still looms large between them. 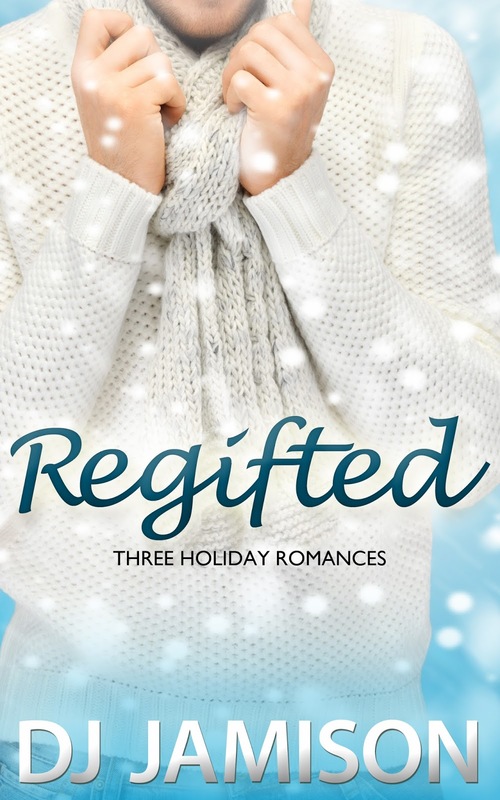 Can they find a way to build a future together or will Joe only have Chance for Christmas? Joe found Chance lingering in the entryway to the back hallway, hands stuffed in his pockets, pulling his already snug jeans even tighter across his thighs. He had his head tipped back against the wall and his eyes were closed, allowing Joe to look his fill. He stared for a long moment, reminding himself of who Chance had been to him. Comparing the boy to the man. In many ways, he was the same guy. That dark, glossy hair just a bit wild about his face. That smooth skin, more tan than pale after years spent in California but still just as creamy. Yet, there was a strength to him that had been missing when he was younger. His sweater fit him like a glove, stretching across shoulders much more capable of carrying a burden than the day they met. Andy sucked in a sharp breath, going utterly still in his arms, and Lane wondered for a moment if he’d made a mistake. This gorgeous guy had been pinging his gaydar from the moment they met, but maybe it was wishful thinking on Lane’s part. He hadn’t met someone who appealed to him so strongly in a long, long time. Then Andy made a soft noise against his mouth, and melted in his arms. Thank God. Lane pulled back to whisper, “So great,” before returning to the man’s lips, this time tracing his tongue along the seam of Andy’s mouth and encouraging him to open for a deeper kiss. DJ Jamison is a contemporary M/M romance author with more than a dozen titles to her name. She writes a variety of queer characters, from gay to bisexual to asexual, with a focus on telling love stories that are more about common ground than lust at first sight. She grew up the literal embodiment of a red-headed stepchild in a working-class family in Kansas. Determined to build a successful career, she earned a degree in journalism and worked in newsrooms for more than ten years before pursuing her dream to write fiction. DJ is married with two sons, two glow-in-the-dark fish, and regrettably, one snake.